Portrait of tired business man in casual shirt working in the laptop in the stylish office, feeling anoying head ache. 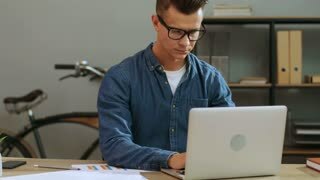 Attractive business man in casual shirt working in the laptop in the stylish office, feeling anoying ache in the back. Portrait of young business man in casual shirt working in the laptop in the stylish office, feeling very tired. 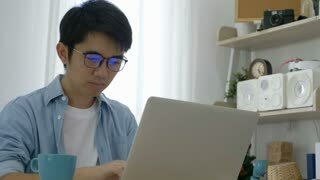 Young business man in casual shirt working in the laptop in the stylish office, finishing work day and feeling so happy. 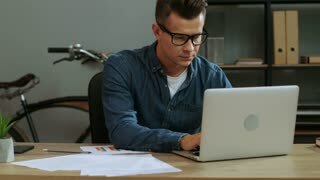 Young business man in casual shirt working in the laptop in the stylish office, feeling very tired after work day.